Thank you for visiting JP Graphics in Miami Florida. 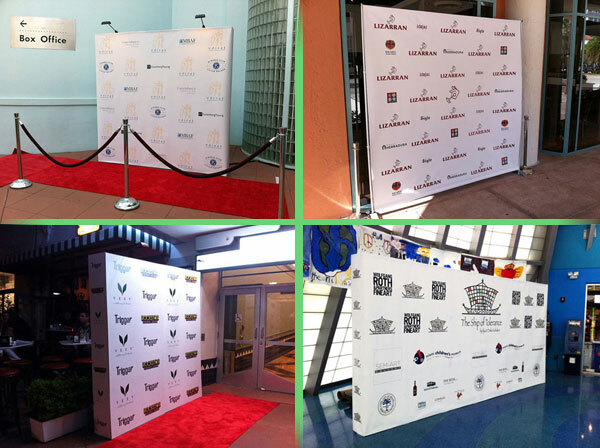 JP Graphics is your source for your step and repeat stands, banners, fabrics or wall printing in miami. With over 19 years of experience in the industry we have the right solutions for your step and repeat banners, walls, and frabric in standard sizes or custom sizes, within your budget and timeframe. We provide a complete service from design to installation. We provide our step and repeat printing service to our clients in miami, doral, miami beach, downtown miami, wynwood design district, miami lakes, hialeah, kendall, perrine, homestead, aventura, north miami, coral gables, north miami beach, south miami, key biscayne, miami gardens, sunny isles, pinecrest, cutler bay, palmetto bay, florida city, miami shores, miami springs, medley, west miami, north bay village, sweetwater, hollywood, ft lauderdale, boca raton.